This Handbook examines disparities in public health by highlighting recent theoretical and methodological advances in cultural neuroscience. It traces the interactions of cultural, biological, and environmental factors that create adverse physical and mental health conditions among populations, and investigates how the policies of cultural and governmental institutions influence such outcomes. In addition to providing an overview of the current research,§chapters demonstrate how a cultural neuroscience approach to the study of the mind, brain, and behavior can help stabilize the quality of health of societies at large. The volume will appeal especially to graduate students and professional scholars working in psychology and population genetics.§§The Oxford Handbook of Cultural Neuroscience represents the first collection of scholarly contributions from the International Cultural Neuroscience Consortium (ICNC), an interdisciplinary group of scholars from epidemiology, anthropology, psychology, neuroscience, genetics, and psychiatry dedicated to advancing an understanding of culture and health using theory and methods from cultural neuroscience. 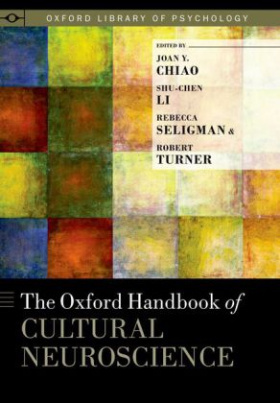 The Handbook is intended to introduce future generations of scholars to§foundations in cultural neuroscience, and to equip them to address the grand challenges in global mental health in the twenty-first century.